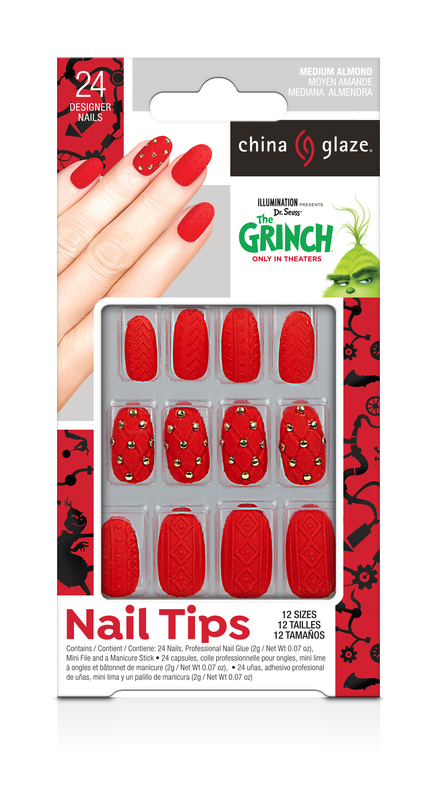 Straight from the top of the naughty list, The Grinchtakes over ChinaGlaze®this holiday with a limited-edition lacquer collection. 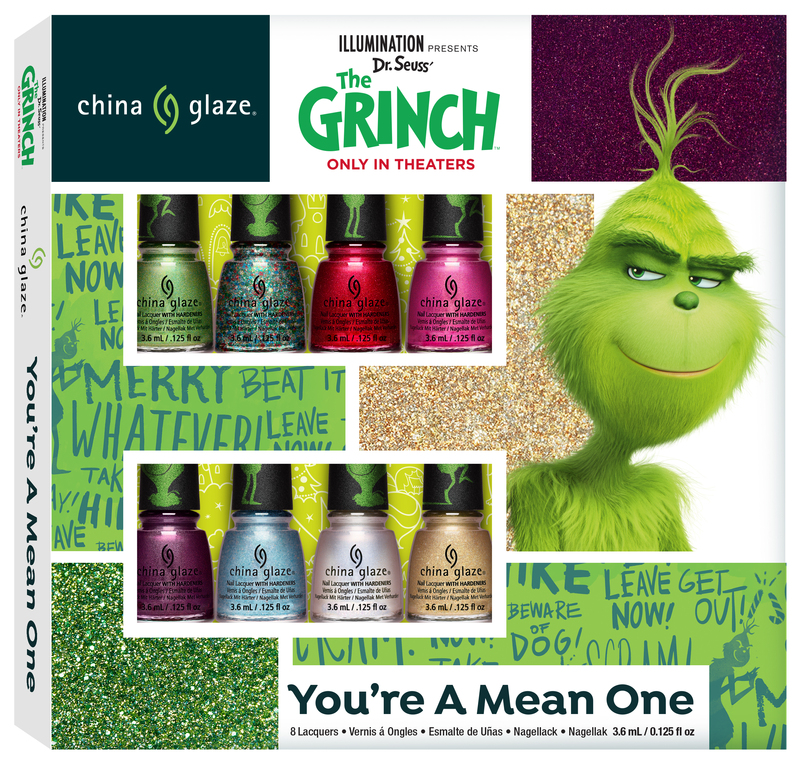 Stealing inspiration from the wonder of Who-ville, DR. SEUSS’ THE GRINCHx China Glaze®collaboration will make your heart grow three sizes with a transformative palette of eight frosty shades. Say “Merry Whatever” to shimmering glitters and cool crèmes, plus three Designer Nail Tips, two holiday gift sets and nail art kit. 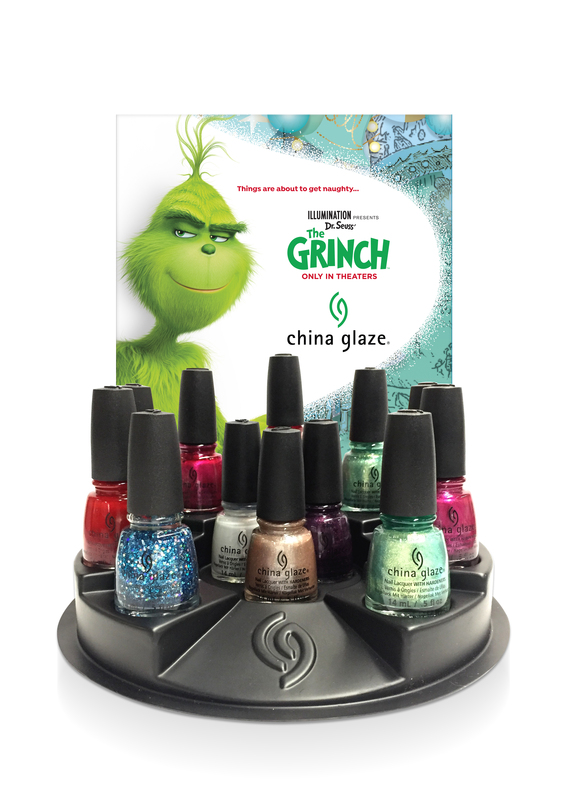 November 2018 tisn’t the season for colour when DR. SEUSS’ THE GRINCHx China Glaze®collection launches at stores nationwide including Ulta, CVS, Rite Aid, Walmart and Sally Beauty, plus JCPenney Salons. DR. SEUSS’ THE GRINCH arrives in theaters nationwide on November 9, 2018. 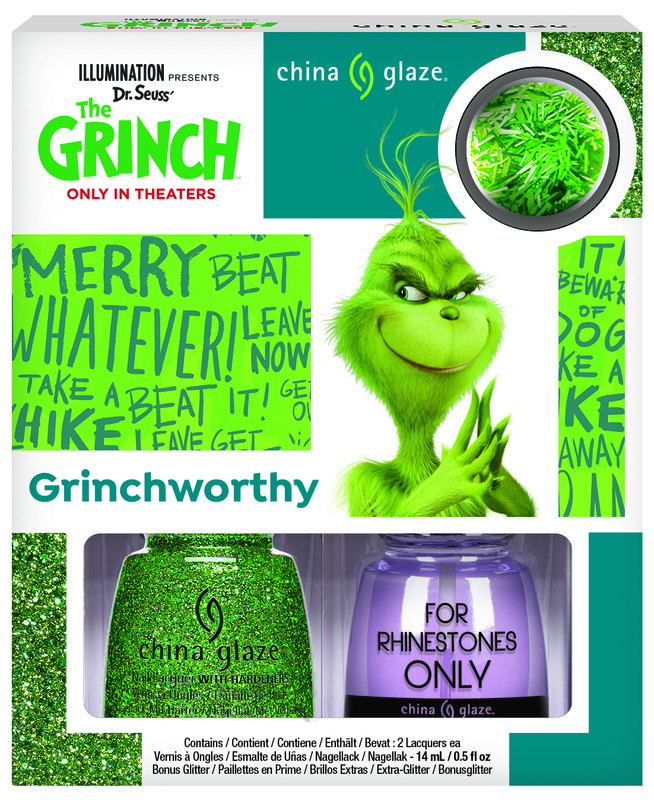 For more information, please visit www.chinaglaze.com or follow China Glaze on Instagram (@ChinaGlazeOfficial), Facebook (@ChinaGlazeOfficial), Twitter (@ChinaGlaze) and Pinterest (pinterest.com/chinaglaze). For their eighth fully animated feature, Illumination and Universal Pictures present The Grinch, based on Dr. Seuss’ beloved holiday classic. The Grinchtells the story of a cynical grump who goes on a mission to steal Christmas, only to have his heart changed by a young girl’s generous holiday spirit. Funny, heartwarming and visually stunning, it’s a universal story about the spirit of Christmas and the indomitable power of optimism. 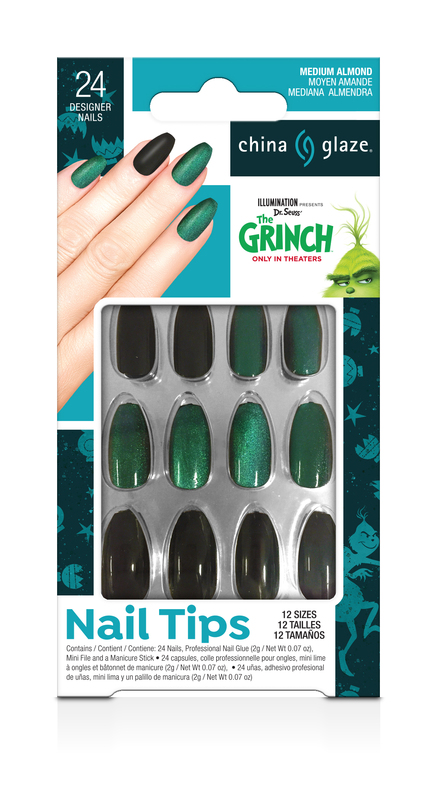 Academy Award®nominee Benedict Cumberbatchlends his voice to the infamous Grinch, who lives a solitary life inside a cave on Mt. Crumpet with only his loyal dog, Max, for company. With a cave rigged with inventions and contraptions for his day-to-day needs, the Grinch only sees his neighbors in Who-ville when he runs out of food. I’m so happy they did a mini set of these! 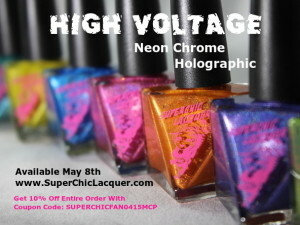 I am going to order it. The packaging is super cute! And the falsies are fun designs too! 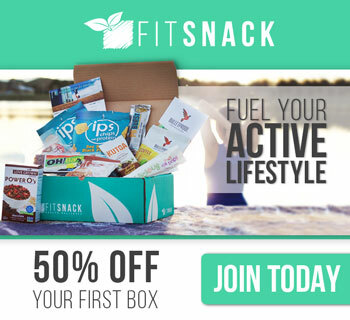 It’s a very fun collection! 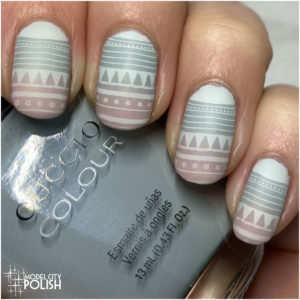 I like the colors and the bottle design. 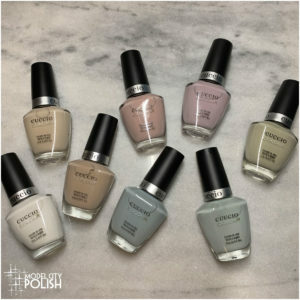 I just really LOVE this collection!